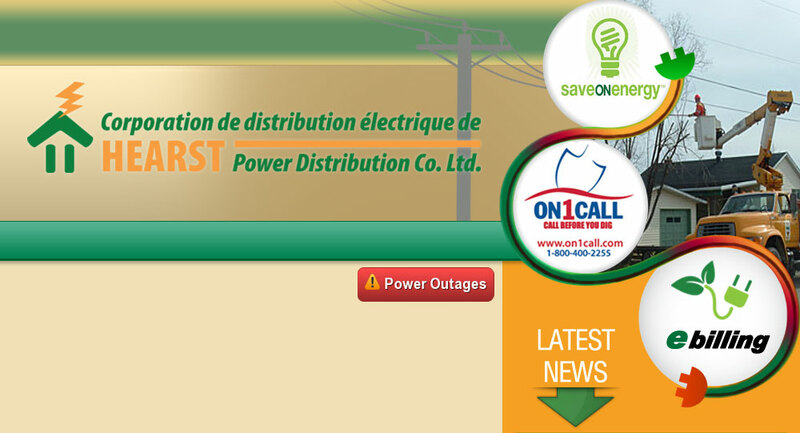 Information on Hearst Power Distribution Company Limited’s (“HPDC”) policy and practices on the collection and use of personal information are listed below. HPDC reserves the right to amend this declaration at any time. Personal information means any recorded information about an identifiable individual, including name, mailing and electronic (e-mail) address, date of birth, social insurance number, bank account information, driver’s license and other information obtained in writing; in person or by telephone. The purpose of collecting your personal information is to establish and maintain control on your identity, manage billing, payment and other financial services, protect you from errors and fraud, obtain general information and to conform to the legislation. You may refuse to divulge your personal information, but this could hinder HPDC in the necessary and proper discharge of its service and product in an efficient and appropriate manner. – HPDC adheres to the standards and procedures of the confidentiality of information. – Only HPDC employees and certain sub-contractors as well as a collection agency may access your information. – HPDC retains your information for the period prescribed by regulation. – You have a right to request correction of your personal information at any time. You may submit a complaint or make a request in writing to the Manager of HPDC. For any question regarding this policy, please communicate with HPDC’s General Manager at 705-372-2815.